Jake Anderson of theAntiMedia.org recently published an interesting story listing Stephen Hawking's personal concerns about potential "catastrophic dangers humanity faces in the Twenty-First Century." We not only read the story with great interest, we opened a number of links to other published articles addressing Hawking's concerns. Since Anderson has given permission to have his story republished we are doing so, highlighting the Hawking list. 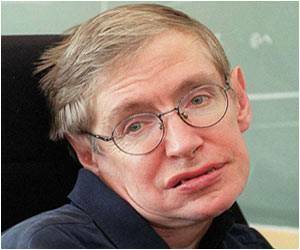 Planned are follow-up reports describing the Hawking concerns in detail and looking into the reasons he is worried. We will share his concerns. Hawking pointed out that the world is changing quickly and scientists are delving into areas where they may be subjecting humanity to potential threats unlike anything ever experienced before. 1.) He notes that we have been trying for years to make contact with extraterrestrial intelligence. While Hawking is just as curious as the rest of us as to whether we share this universe with other life forms, he expressed concern that careless contact might generate an invasion by an unfriendly alien force. 2.) Hawking has joined Tesla's Elon Musk, Apple co-founder Steve Wozniak and Google's Demis Hassabis in signing a letter warning against a military artificial intelligence arms race. We look into the dangers of using robotic armies. 3.) Hawking has been keeping a close eye on the research going on at the European Center for Nuclear Research (CERN) in Switzerland. He warns that there may be great danger in finding and identifying the Higgs Boson "God Particle." He believes what is going on at CERN could initiate what he calls "catastrophic vacuum decay," a quantum bubble that might wipe out the universe. If it happens, the event will hit us so quickly we will never see it coming or know what hit us. 4.) Hawking also is concerned about growing capitalist greed. During a Reddit AMA, he said this corporate takeover of government and human affairs may be far more dangerous than robots, aliens or quantum particles. He perceives a time when robots replace humans at the workplace, thus creating a globalist oligarchy that brings about a human revolution the likes of which the world has never seen. In a series of four supporting articles, we want to examine these threats in great detail this week, looking at what other writers, theologians and researchers have to say about Hawking's concerns.